Finished in satin gel medium. Framed by artist in mahogany stained pine. Acrylic on 300 lb Soft Press Fabriano Artistico watercolor paper. (Two natural deckles and two cut edges). Finished in satin varnish. 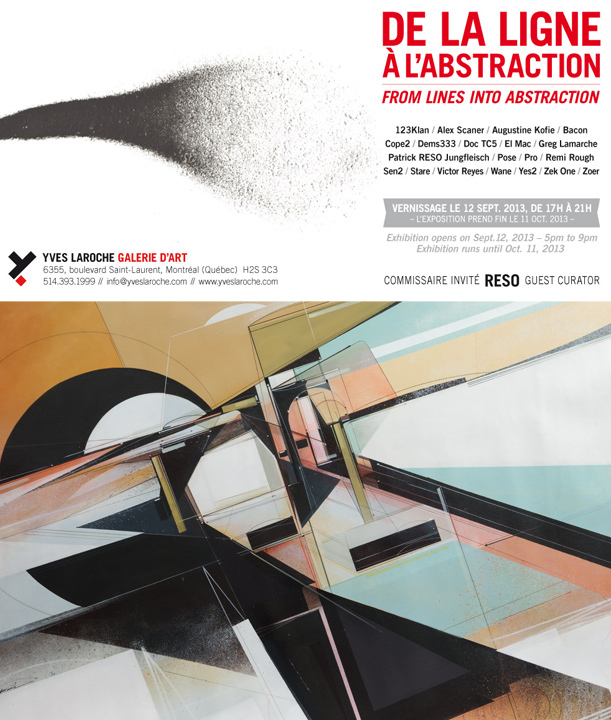 Yves Laroche Galerie’s next show opens on September 12th. “From lines into abstraction” will showcase new works by a group of Graffiti artists from across the globe. 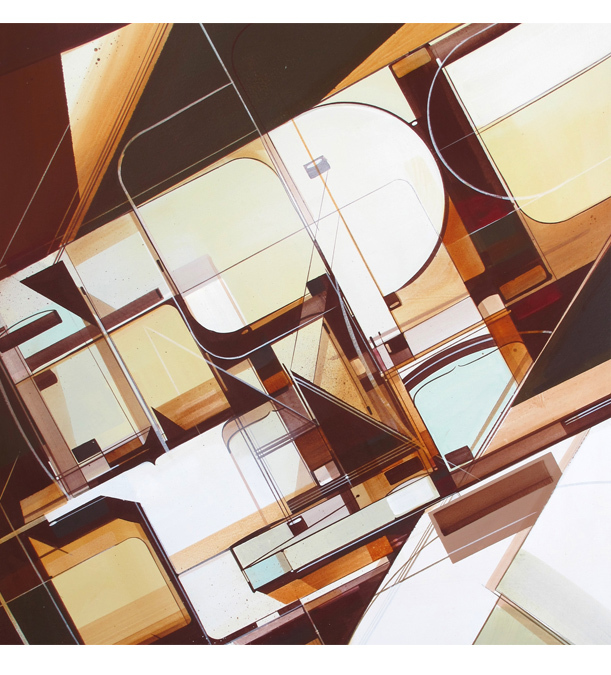 Guest curator Patrick RESO Jungfleisch has gathered a collective of active Graff artists whos works transcend their foundations of their respected Graffiti arts into the realms of abstraction, expressionist and modern territories. Artists include fellow Agent Of Change, Remi Rough as well as Zoer, 123Klan, Dems333, Alex Scaner, Doc TC5, Bacon, Greg Lamarche, Reso, Pose, El Mac, Pro, Sen2, Stare, Victor Reyes, Wane, Yes2, Zek One and Cope2.